MUNSTER HAVE ANNOUNCED that Rob Penney is the man to replace Tony McGahan as head coach with the province. Following confirmation this year that McGahan would depart for a role with the Wallabies, many had hoped that forwards coach, Anthony Foley, would be promoted to the role. Penney’s arrival comes as a surprise to many. Considered a forwards coach himself, there are concerns that he and Foley would tread on each others toes. 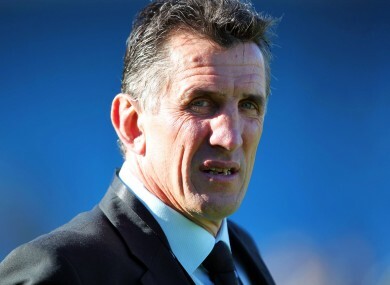 Penney will begin his two-year contract with the southern province in July (subject to a work permit) after he coaches the under 20 New Zealand side in IRB Junior World Cup. The Kiwi’s appointment comes after both Foley and Tana Umaga were interviewed for the job. Email “Penney to drop in as new Munster coach”. Feedback on “Penney to drop in as new Munster coach”.